John Paul Fauves (born in 1980) is a contemporary Artist from Costa Rica . His artistic journey started at a very young age after he became a student of Joaquin Rodriguez del Paso , one of the most important Costa Rican modern art tutors. John Paul spent 15 years studying and mastering his technique, and only a few years ago he finally started showcasing his work. 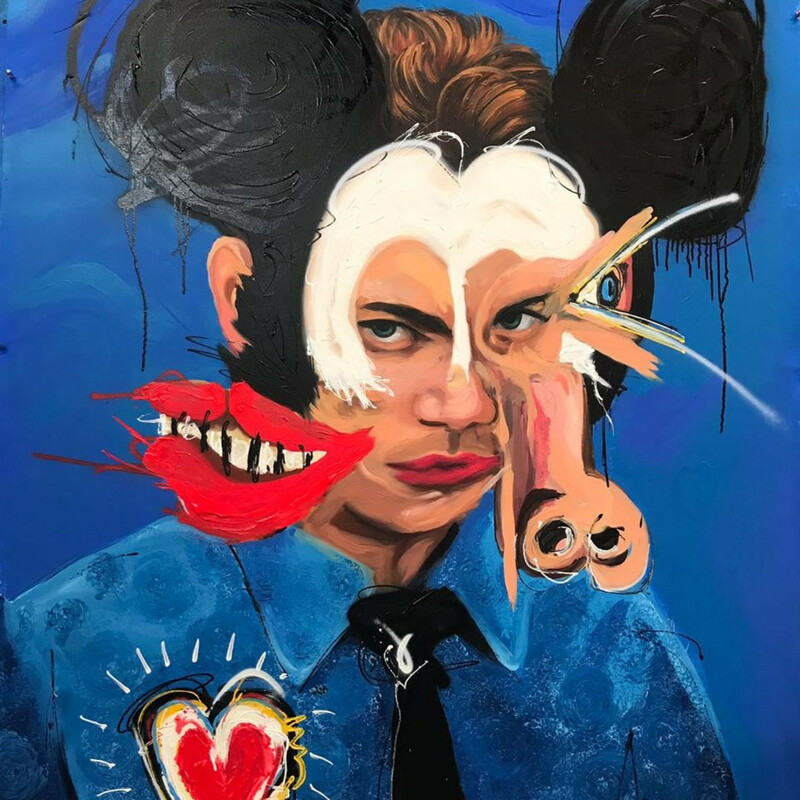 In less than one year John Paul Fauves got international recognition as an artist and now exhibiting his works worldwide. In his paintings he engages questions of identity as they relate to art history as well as our everyday interactions with mainstream culture and social media. Greatly inspired by modernist masters as wellas pop-artists, Fauves mixes fragments of different iconic images in vivid and colourful compositions. Of his experimental and high eclectic style, he says, “art is an expression from the soul, and the soul is somethinglimitless. This is why I am always searching for different elements to bringinto the work."